Product categories of Plastic Knife, we are specialized manufacturers from China, Plastic Knife, Plastic Handle Knife suppliers/factory, wholesale high-quality products of PP Handle Chef Knife R & D and manufacturing, we have the perfect after-sales service and technical support. Look forward to your cooperation! Packing: color box, blister shell. Plastic knife : High hardness and sharp knife edge,no Rustless and Corrosion resistance,no acid and alkaline reaction with food. Transfer no metallic taste and smell,easily clean up to prevent bacteria growth. Light weight makes it easy to use.Healthy and environment-friendly. 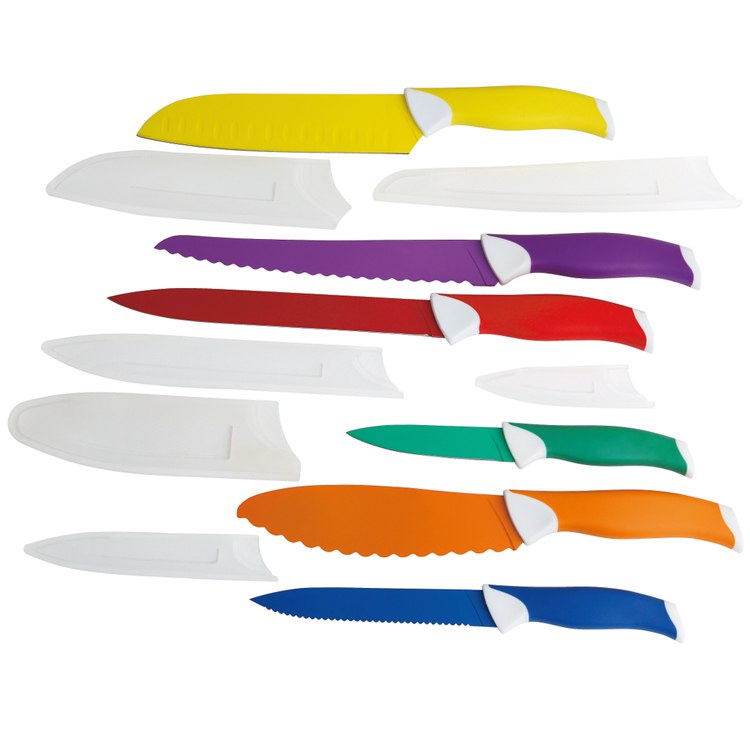 We have different colors and style of Plastic handle knife for your choose. For instance, Red PP handle knife , Yellow PP handle knife and other colors, PP Handle chef knife , PP handle fruit knife , PP handle steak knife, TPR with PP double injection handle kitchen knife, PP handle knife with resin coating blade, PP handle knife with Titanium blade,PP handle knife with printing blade...etc .Food grade material, no abnormal odour,rust resisted. Eco-Friendly, flexible, lightweight and portable, easy to store and transport.Direct factory price, high quality & fast delivery. Its sharp blades & smooth grip makes it easy & a joy to use.